I was walking back from Sunset Lake to the car when this little critter decided it was a good time to play peek-a-boo. He was a little skittish but really wanted to see what was going on so he kept sticking his head out and then pulling it back. 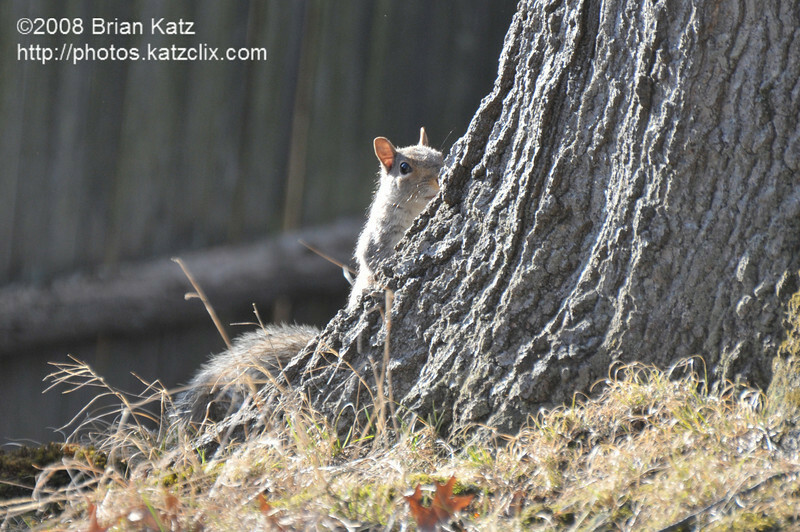 Squirrels are a sure sign of spring and they seemed to be out in force today. The good news about not putting your camera away is that you never know what you are going to see.